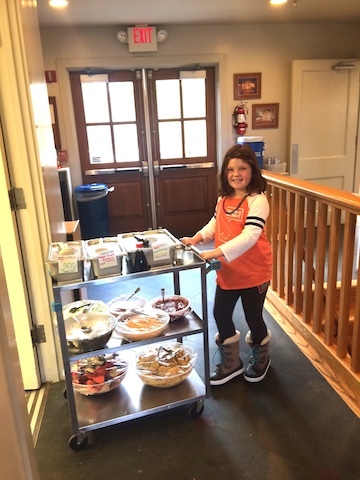 Mika was our “Chef for a Day” last week and selected a terrific menu for our school’s lunch. We had nachos with black beans, seasoned turkey, tricolored chips, 3 salsas and queso. Fresh avocados and guacamole were served along with cilantro, diced onions, 2 cheeses, lettuce, taco sauce, sour cream and more. Ex-Day students were please that Mika remembered them in her planning and they had banana bread as their afternoon snack.